The importance of patient safety and well-being is a vital part of health professional education. With the many reported examples of unprofessional behaviour and poor care being highlighted in the media and through the Francis Report (2013), patient-centred care and the role of the healthcare professional calling has been brought back into focus. This has raised a challenge for both medical and pharmacy educators in providing appropriate undergraduate training, instilling professionalism and values and assessing knowledge, attitudes and conduct adequately. 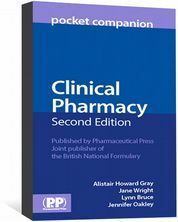 These needs have been recognised by the General Pharmaceutical Council in its Standards for the Initial Education and Training of Pharmacists,2 which require that all UK pharmacy schools involve pharmacy service users (this group includes patients, the public, carers, and consumers) and this is now becoming an integral part of the new MPharm curricula in UK pharmacy schools. The new GPhC Standards (especially Standard 5.6) outline the importance of PPI in pharmacy education and emphasise the importance of implementing practical experience of working with patients, carers and other healthcare professionals alongside the theoretical and scientific aspects of pharmacy education. The literature indicates that most healthcare professionals in training are in favour of more direct patient involvement with their teaching.8 In an evaluation of patients’ involvement in classroom teaching published in Nurse Education Practice, John Costello and Maria Horne3 claim the success of patient involvement depends on three main factors: the skill of the teacher; the co-operation of the patient; and the willingness of the student to engage in discussion with the patient in a classroom context. 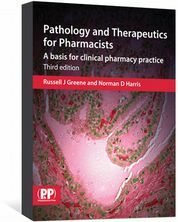 This is of particular relevance to the education of pharmacists, supporting them to develop their skills of talking to people appropriately and with confidence, listening effectively, empathising with patients and supporting patients in their use of medicines. Over the past year, the pharmacy practice team in the School of Pharmacy and Biomedical Sciences has been working with the Comensus team on delivering PPI workshops with their MPharm students. The School has recently conducted two half day PPI events. During these PPI events the students had the opportunity to attend one of seven workshops. The titles of the workshops were: mental health; breathing difficulties; cancer; diabetes; transgender; drug misuse; and carers. The workshops were designed to include a question and answer session followed by small group activities facilitated by the service users. The format for the undergraduate teaching of PPI was developed through initial meetings between the academic staff and the Comensus team. The academic staff then arranged tutorials that brought students from across the four years together to design questions for the workshops. The service users were provided with these questions in the week preceding the workshops, and had time to decide if these were appropriate and to consider their responses. The main teaching event took place over a two-week period in March 2013, with over 250 volunteer MPharm students, 20 patients and carers, and eight lecturers and teacher practitioners. The event was duplicated for a second week to cater for the high number of students who wanted to attend. Following the event, students were offered the opportunity to attend a support session with an academic member of staff in case any of the issues had affected them emotionally. Students could also use a discussion board to to ask the service users any follow-up questions. After reviewing the extensive feedback, the school has decided to integrate PPI across a number of modules. Fourth year students have also participated in a full day event PPI congress with social work students. This involved various third sector healthcare support groups and carer groups and the feedback suggests that this has further broadened the students’ knowledge and experience. From the existing literature on this subject, it appears that there is room for growth in “service user” involvement in the education of pharmacy students. Practicalities such as funding and developing and maintaining a positive rapport with patients should be taken into consideration when carrying out further research. 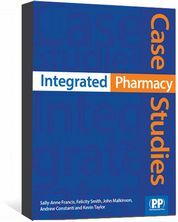 However, in order to develop PPI as an integral part of pharmacy education in the future there need to be more accurate ways of measuring the positive or negative outcomes of such teaching on future attitudes and behaviours in pharmacists. Additionally, the use of PPI in curriculum development will need to be assessed to ensure that this has positive benefits in the educational process. Gordon Becket is professor of pharmacy practice; Sarah Wilson is a lecturer in social pharmacy and ethics; Katie Greenwood is a lecturer in pharmacy practice; and Ann Urmston is a teacher-practitioner and the School’s PPI coordinator, all at the School of Pharmacy & Biomedical Sciences, University of Central Lancashire. Lisa Malihi-Shoja is the Comensus co-ordinator, also at UCLan. 2. General Pharmaceutical Council. Future Pharmacists: Standards for the initial education and training of pharmacists, 2011. 3. Costello J, Horne M. Patients as teachers? An evaluative study of patients’ involvement in classroom teaching. Nurse Education Practice 2001;1:94–102. 4. Fudge N, Wolfe CDA, McKevitt C. Assessing the promise of user involvement in health service development: ethnographic study. 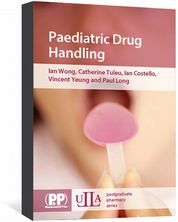 BMJ 2008;336:313–7. 5. Farrell C. Patient and public involvement in health: the evidence for policy implementation. Department of Health, 2004. 6. Towle A, Bainbridge l, Godolphin W et al. Active patient involvement in the education of health professionals. Medical Education 2010;44:64–74. 7. Rhodes CA. Service user involvement in health and social care education: a concept analysis. Nurse Education Today 2012;32:185–9. 8. Stacy R, Spencer J. Patients as teachers: a qualitative study of patients’ views on their role in a community-based undergraduate project. Medical Education 1999;33:688–94. 9. Stillman PL, Ruggill, JS, Rutala PJ et al. The use of practical instructors as teachers and evaluators. Medical Education 1980;55:186–93. 10. Riggs GE, Gall EP, Meredith KE et al. Impact of intensive education and interaction with health professionals on patient-instructors. Medical Education 1982;57:550–6. 11. Jha V, Quinton ND, Bekker HL. What educators and students really think about using patients as teachers in medical education: a qualitative study. 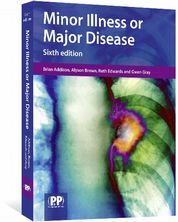 Medical Education 2009;43:449–56. 12. Thomson AN. Reliability of consumer assessment of communication skills in a postgraduate family practice examination. Medical Education 1994;28:146–50. 13. Downe SMM, Johnson E. Comensus Community Involvement Team, Comensus Advisory Group, Koloczek l, Grunwald A, Malihi-Shoja l. The UCLan community engagement and service user support (Comensus) project: valuing authenticity, making space for emergence. Health Expectations 2007;10:392–406. 14. Mckeown M, Malihi-Shoja L, Downe S. Service user and carer involvement in education for health and social care. Chichester: Blackwell Publishing; 2010.